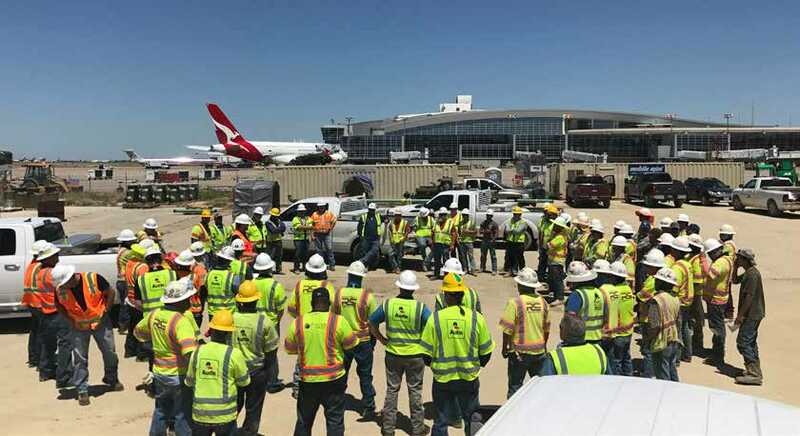 Safety meeting at Dallas/Fort Worth International Airport. Photo courtesy of Austin Bridge & Road. 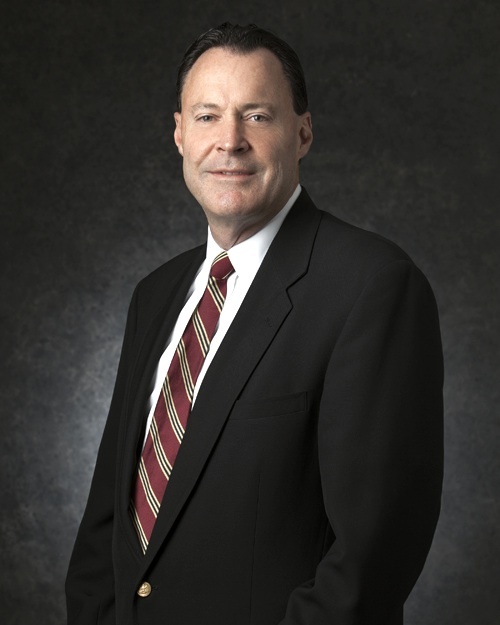 Safety is a very complicated subject,” said David Walls, president and CEO of Dallas-based Austin Industries, parent company of Austin Bridge & Road, Austin Commercial and Austin Industrial. Some government safety programs and manuals are as thick as old-fashioned telephone directories, he noted. Walls even wrote his own book on the subject, World Class Safety Program, which supplements the narrative about life-saving leadership and processes with sophisticated diagrams and charts. All three Austin companies adopted “Life Critical Rules” to prevent injuries and fatalities. These “absolute rules” fit on an index card, one side in English, the other in Spanish. Austin employees and subcontractors are required to abide by them. “There were some growing pains,” Michael Morris, Austin’s vice president of safety, said of the initiative’s launch nearly a decade ago. The company released a 30-year veteran for breaking one of the rules. “We’d much rather do that then meet with his widow,” Walls said. Individual subcontractors can’t be fired, but they have been prohibited from returning to an Austin job site. “We took a little beef over that when we started it,” Walls continued. The Occupational Safety & Health Administration (OSHA) Recordable Incident Rate at Austin Industries was 0.69 company, 1.44 at Bridge & Road, including subcontractors. The national rate for “highway, street and bridge construction” was 3.5 in 2016, the most recent year available. “We are changing the whole industry because of our rule with subcontractors,” Walls said. Like a growing number of construction firms, Austin goes “above and beyond” federal and state safety standards “because it is the right thing to do,” Morris said. One example is the requirement to use personal fall protection when operating scissor lifts. Morris said he would like to see more cooperation between private industry and regulatory agencies about standardization of traffic control plans, especially in rural areas. Having a great safety record reduces business insurance premiums, and it keeps the work zone running smoothly and efficiently, which also saves money. Whether dealing with subcontractors, or a firm’s own employees, following safety processes and procedures is only half the story, Walls said. The other critical component is leadership. Walls frequently delivers his safety message to his company, and through ARTBA and other industry groups.